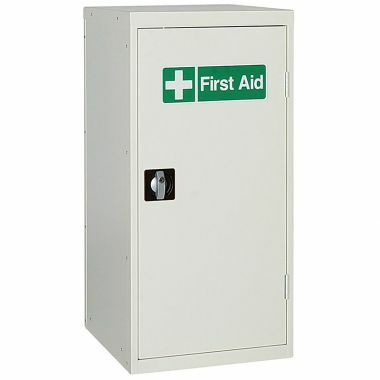 Having a recognisable first aid point is an important consideration for organisations so they can minimise the consequences of any accidents that may occur. 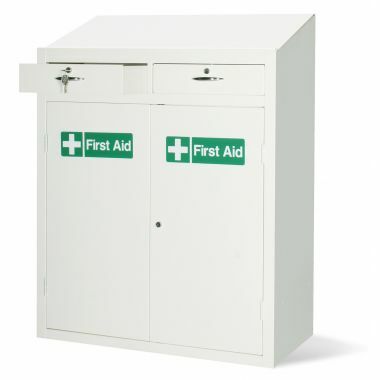 Our range of steel cabinets provide a secure storage area for first aid equipment and are designed to be used in demanding environments. 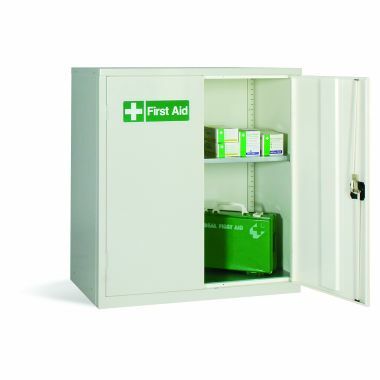 All first cabinets are manufactured using high quality steel that is finished with a powder coating, protecting the metal and inhibiting the growth of any mould. 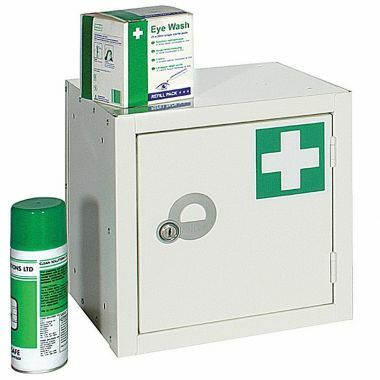 The stickers provided on the doors of these cabinets identify it as designated for first aid, making it easily recognisable in an emergency situation. 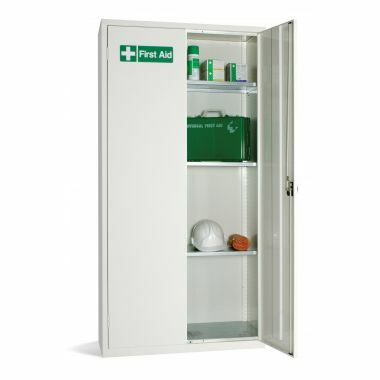 The whole cabinet is also coloured in white to assist with easy recognition. 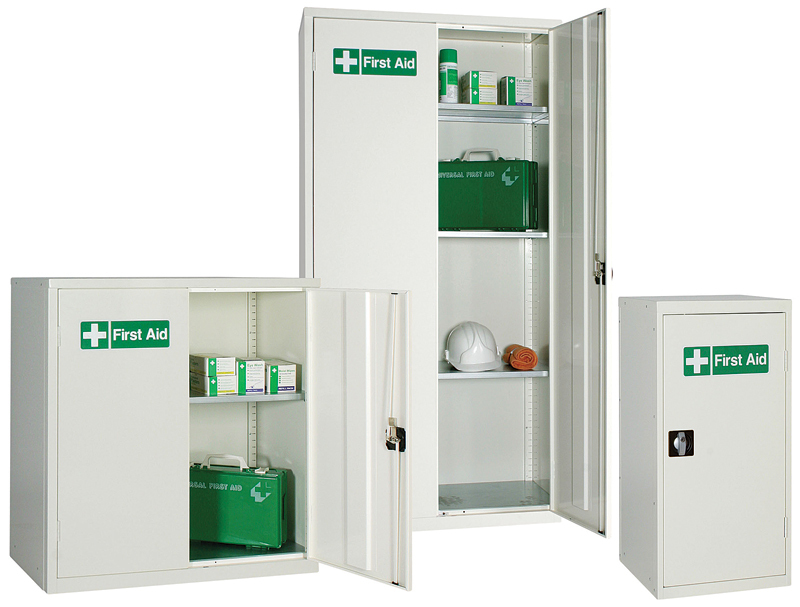 Supertuff have a wide variety of shapes and sizes to choose from, ensuring that there is a cabinet to suit your individual requirements. 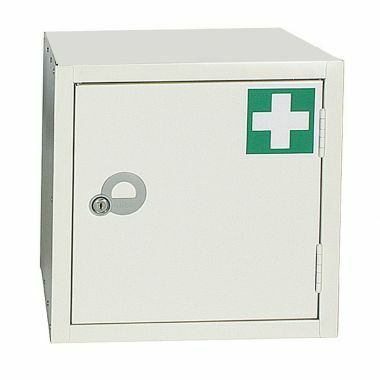 Lockable reinforced doors secure contents when not in use and prevent the theft of items like painkillers or other drugs.